Explore the connections between living things and their environment. Massey University’s Bachelor of Science with Honours with a major in ecology is a prestigious qualification for those that are interested in progressing to further, in-depth research. This postgraduate qualification will also give you a career advantage. You will benefit from Massey’s strong collaborative links with New Zealand’s Department of Conservation, Landcare Research, AgResearch, NIWA, Fish & Game NZ, regional, district and city councils and private sector environmental consulting firms. The ecology complex at Massey has an excellent range of facilities and equipment including controlled temperature and light rooms, glasshouses and a workshop for making field equipment. There are labs for microscopy and image analysis, chemical analysis, ancient DNA, freshwater fish and invertebrates, insects and plant ecology, animal behaviour and soil invertebrate extraction. Postgraduate study is hard work but very rewarding and empowering. You will work to produce your best creative, strategic and theoretical ideas. The workload replicates the high-pressure environment of senior workplace roles. Our experts are there to guide but you will find that postgraduate study demands more in-depth and independent study. I chose to study ecology and zoology at Massey because I always had an interest in animals and the environment. Doing the ecology honours programme was a good challenge. It suited me because I wanted to do some postgraduate study before leaving university but also keep my options open to possibly do a PhD in the future. During my studies from my second year onwards I demonstrated and tutored for lab classes for as many courses as I could. It was very helpful for reinforcing what I’d learnt in previous years and I also really enjoyed the mentoring aspect. There are limited job opportunities in the environmental sector so I was quite open to broadening my job search to include applied environmental research in horticultural and agricultural fields. I was fortunate to secure a fixed term position in the Entomology Group at Plant and Food Research. Following this I joined the Plant Pathology Group as a Research Associate, even though I hadn't previously studied any plant pathology. That’s one of the real benefits of studying zoology and ecology at Massey; you’re able to transfer your skills. I'm sure that if I started a new job tomorrow in a different scientific field, I’d feel confident I have the skills to be able to go about asking the right questions, setting up an experiment and collecting useful data, even if I am unfamiliar with that particular subject. My tip for prospective students is to get involved in everything you can at university, research your potential employers and study what you’re interested in. You’ll do well. A postgraduate qualification in ecology will allow you to approach many environmental research and management issues from a strong theoretical and practical base. Massey ecology graduates may find employment with the Department of Conservation, Regional Councils, Government Research Institutes and Environmental Consultants. Our postgraduate degrees are well regarded internationally so you may continue your studies overseas at a PhD level. Others have added another specialisation to become an ecotoxicologist, environmental economist, or even an environmental lawyer. 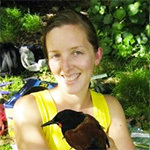 Associate Professor Trewick is an evolutionary ecologist interested in biodiversity, population genetics, environmental science and sustainability, zoology and ecology. He is co-leader of The Phoenix Group that uses ecological, physiological and molecular tools to explore the way species evolve and interact. Graduates in the group have wide interests including tree weta behaviour and diet, reproductive systems in stick insects, phylogenetics and biogeography of rails, invertebrate systematics, speciation genetics of land snails and the genomics of biodiversity gradients. 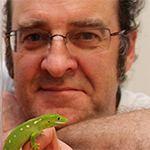 He manages a dedicated ancient DNA lab that allows research to incorporate museum specimens of rare or extinct species and populations, and the Wetageta website that provides access to taxonomy and biodiversity information on New Zealand’s weta and grasshopper. In 2012 he led a team that discovered a new species of cave weta that gained international interest, reported by world-leading science publications, including the ‘Scientific American’ with a readership of 3.5 million. He has been prominent in communicating the geology of New Zealand and its relevance to the native biota, and has contributed to encyclopedia entries on biodiversity, biogeography and palaeogeography. Current projects involve collaboration with scientist in Chile, Australia, France and New Caledonia. His book “NZ Wild Life” captures the secret life of ordinary New Zealand species and explains the mechanisms of evolution. It made the top-ten on Nielsen’s New Zealand Bestseller Chart soon after it was released.